As the fourth most popular travel destination in the world today (according to the Conde Nast Traveler Magazine), India is attracting more and more visitors every year. Right from regular holidaymakers to globetrotting business travelers, a trip to India seems to be on everyone's agenda at the moment. Trying to keep up with the extensive demand for flights to India, almost all the major cities in the world offer direct and connection flights to many destinations in India. And Singapore is no exception. Flights from Singapore to India have been a regular feature since some time now. A good number of air carriers, both Indian and international cater to the India - Singapore sector. Besides, the fact that Singapore is a popular holiday destination for a huge segment of Indian holidaymakers also adds to the demand for flights to and from Singapore. One will also find businessmen regularly shuttling between these two destinations. 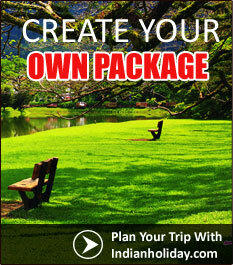 Indian Holiday now offers detailed information on flights from Singapore to India and vice versa. Apart from a range of amazing fares, we also offer a hassle free booking procedure to make your trip a memorable one.